Annually, I take a look back at all of the books I’ve bought and read and distil it down to my top picks. 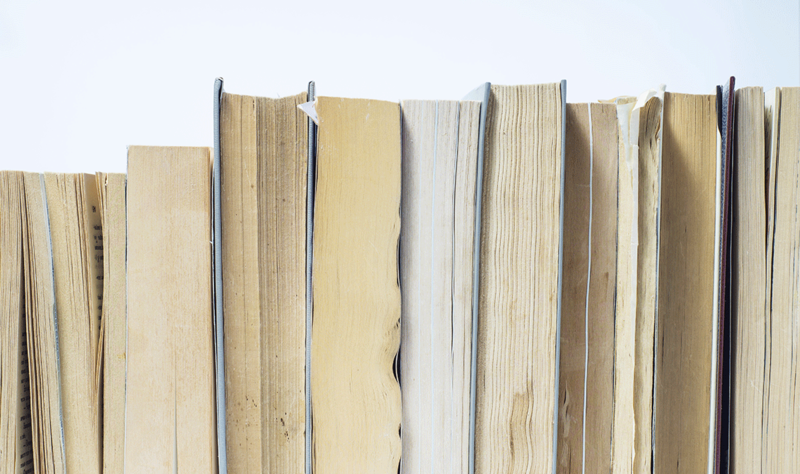 This past year there were 9 great reads that I’d highly recommend you take a look at. Reading is one of the best ways to expand your knowledge and challenge your way of thinking. It’s a daily practice of mine to read something every day. Please note, not all of these books were published this past year, but it was the year in which I read them. Leave a comment and give me your top one or two picks from the last 12 months making this blog a super rich experience for others. 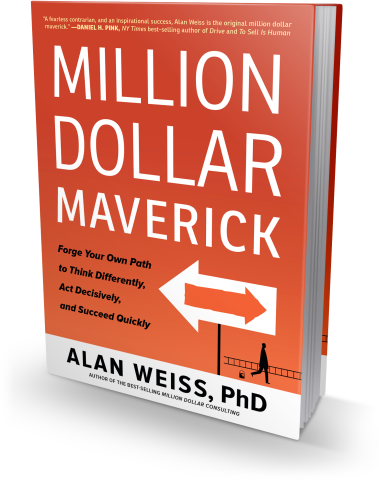 Alan Weiss is my coach, mentor, and friend. I’ve read many of his books but Million Dollar Maverick was by far my favourite. If you know anything about Alan, he is a contrarian. He is bold, confident and unattached to what others think. I admire this in him greatly. 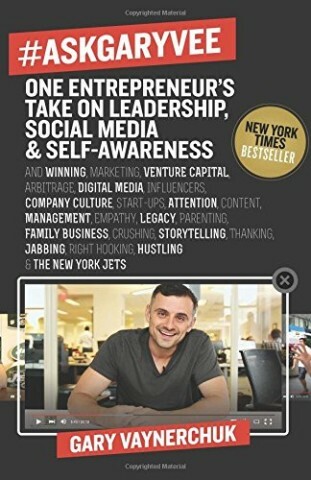 In his newest book, he takes a candid look at his life experiences and turns them into rich lessons for others on risk taking, leaving the herd, carving our your own path in life and business, how not to be attached to what others think, and how to build your own self-confidence. It’s easy to read and super valuable. If you’ve ever wanted to stay home and hide, you find yourself saying no to opportunities and the things you really want in life far more than you say yes, this book is for you. It’s honest, funny and powerful. I’d also highly recommend watching Shonda’s commencement speech. I shared it with my VIP clients during our mastermind this past year, it’s very powerful. Rhimes is vulnerable in this book, sharing how it feels to be her in a way that is very powerful and relatable. If you’re looking for the courage to say YES to your life, start here. This is a great book and story. Glennon is crazy honest and real in this book when it comes to her own personal development and relationship challenges. I’d not heard of Glennon until this book came ou t and suddenly there were photos of the book in my Facebook newsfeed so I decided to check it out. When I read the jacket and saw it was about her relationship with her husband, I immediately thought I should have done a bit of reading on what the book was about before buying. It was a sunny summer day, I thought I’d read the first chapter and check it out, by the end of the day, I had read the entire book. This book will make you laugh, cry and really consider the type of person you want to be in life. I have tremendous respect for Glennon not only in how she shares her story but in how she stepped up and shared during the initial days of publication that she and her husband had finally separated. She is a powerhouse of a woman and if you like Elizabeth Gilbert and Brene Brown, you’ll like this too. This book completely changed my way of thinking in my business. It made me press the pause button on being a multi-tasker, master of all trades and made me stop and consider what is the one thing that matters the most. It caused me to question my priorities, my focus and what one thing can have the greatest impact in all I do. 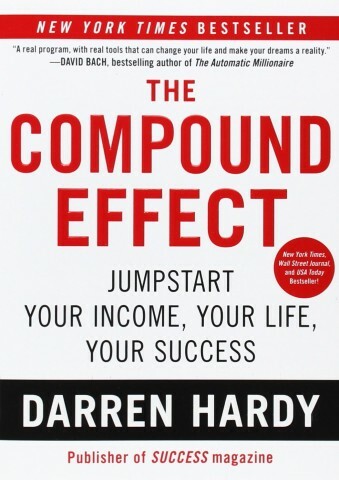 I liked the book so much, it is required reading in my group coaching program, Profit Pods. 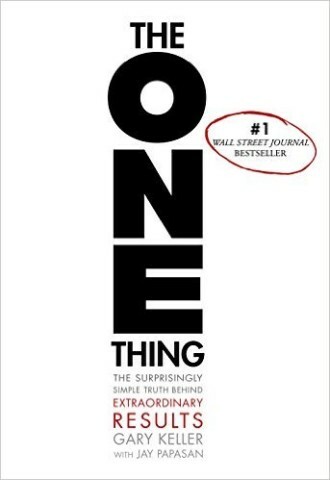 Every member of this community has a “One Thing” and we use it as the grounding statement to ensure our focus is where it needs to be. If you feel overwhelmed with how much you need to do, I suggest you pick this up, and after you read this, get book #5. The One Thing started me down the path of considering what is most important and Essentialism solidified it in many ways. 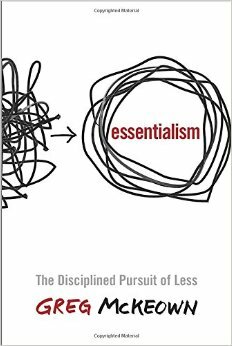 Essentialism gave me strategies that were easy to apply to my life and that was really helpful. For example, ways to say no to the things you feel you “should do” so you can say yes to the things you really want to do. It will show you how to evaluate and let go of things that no longer serve you in a big way. This book is about more than cleaning your closet and pantry. It’s deciding how you will use your time and energy in the most essential way both in your life and in business. I bought this book for all of my private coaching clients because I know that smart, creative, successful people have TONS of ideas and often it is hard to discern where to best use your time, money and energy. This book will help you figure that out. This book is an in your face look at every excuse and rationalization you’ve ever made for your life and business. It’s hard hitting and super impactful. It will show you how small choices you make over time end up having significant consequences or results. What I took from this book is the awareness of how powerful our habits are. Every single day we make choices that we think are about today, but they are really like a domino that will affect our future. Great book, easy to read, and will leave you fired up wanting to make changes in your life guaranteed. This book is about racism and bias. It’s a book of fiction that tells a story that could very much happen in today’s world. The characters are a black nurse, a white supremacist, and a white lawyer all involved in supercharged story. You get to understand racism from each person’s perspective and life experiences. Racism is learned and until we all know better, we cannot do better. 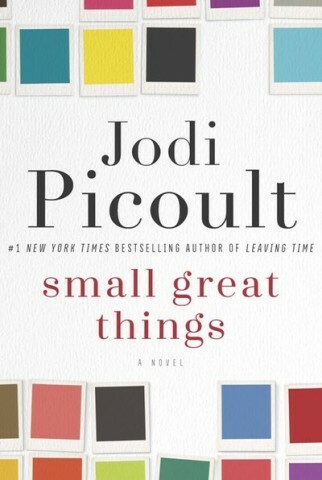 Jodi has written a great novel here to awaken your own thoughts and awareness around bias. I believe everyone should read this book. It is super powerful on many levels. (Please note aside from The Alchemist, I’ve never endorsed a book of fiction on my annual reading list). This book may be fiction but I guarantee it will make you a more aware, compassionate and kinder person. This book is great. If you like Gary, there are some serious leadership lessons that can be taken from this book. My biggest lesson from this book is that Gary and I are more alike than we are different in terms of how we think about business. Many of the ways he responds to questions would be exactly how I do. This book made me ask myself a question. The question being, why am I not bold and confident in what I know the way he is? Sometimes we look at other people and we see their success and we diminish our own. This book showed me that my future is bright and that I’ve got great judgment and tons of information that can inspire a lot of people. What I don’t have is the same amount of hustle and drive as Vaynerchuk and that is okay with me. This book is hard to read and yet so incredibly valuable. The author chronicles his experiences as an Auschwitz concentration camp inmate during World War II. He shares what it means to find meaning in life. This story is a powerful reminder of how trivial most of our challenges in life are today. It is a reminder of how incredibly powerful the human spirit and mind is. 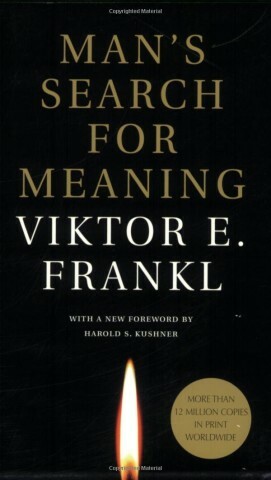 Frankl believed that our mind causes us joy or suffering and that we can live for something that is meaningful to us, or we can live in the past and replay every single point of suffering over and over again. When you choose to focus your thoughts on the future, on the life you want, you are essentially living a life of meaning. This is a powerful historic book about mindset. I will be reading this book again. It is interesting to note that the author originally didn’t want his name published as the author of this book. The book went on to sell over 12 million copies. 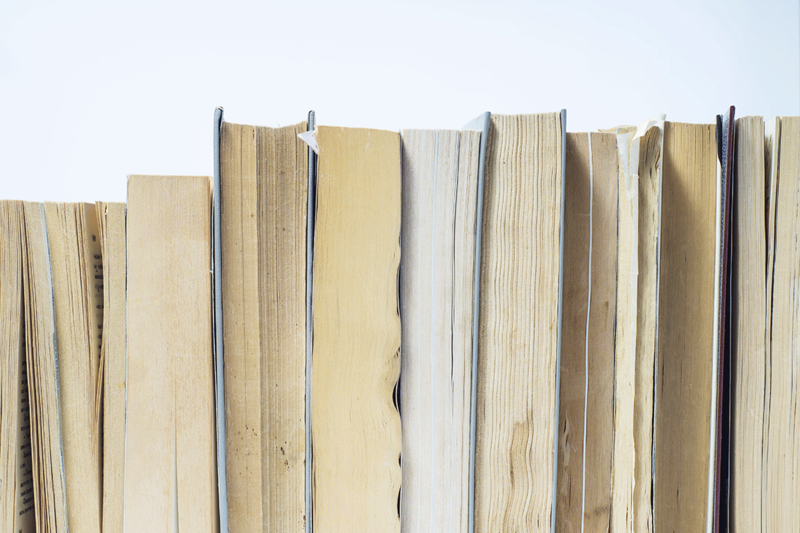 This list of 9 great reads is a great starting point if you’re looking to build and grow your business this year. If you liked this post, you should also take a look at last years list too. There are a ton of great books there too. If a book transformed your thinking around business/life this year, let me know in the comments. I’m always looking for a new good read! Thanks for this list Lisa! I think I’ve got my reading list for 2017 sorted now! You’re welcome! Come back and let me know how you like each book! Lisa, thank you for the list. 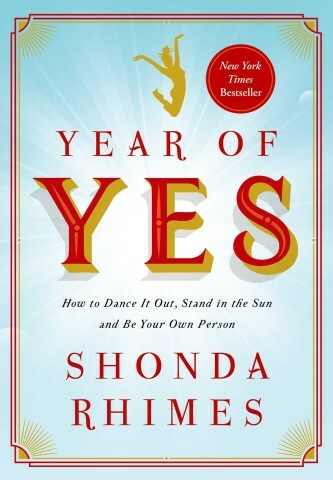 I’d never heard of “Year of Yes” by Shonda Rhimes. I read your list and immediately download the audio from the public library and I’m now listening to it in my car. 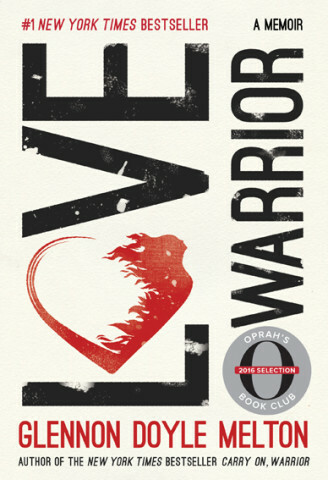 The audiobook is great as Shonda reads it herself so you get the emotion behind what she has written. The audio also includes the actual recording of speeches including the commencement speech. It’s a great book! Love her witty writing style. It’s easy to read and full of solid life lessons we can all use! I’ve only read one of these books, guess I have my reading list for the rest of this year. I recommend ‘Scrappy: A Little Book About Choosing to Play Big’ by Terri L. Sjodin.